It's been too long since the Parental Units' last stay in Hong Kong, and I have many, many places I would love to take them to. 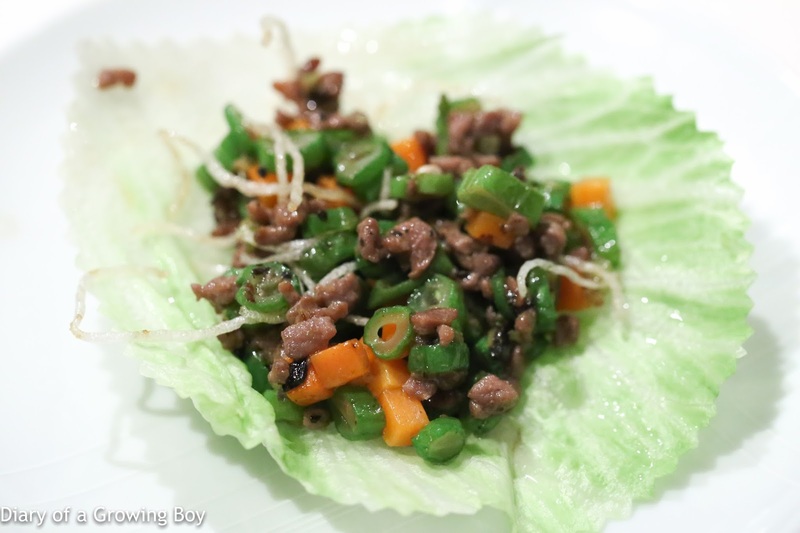 A nice Cantonese dinner is a given, and I decided to use this occasion to return to Lung King Heen (龍景軒) and visit my sommelier friend Bernard Chan. 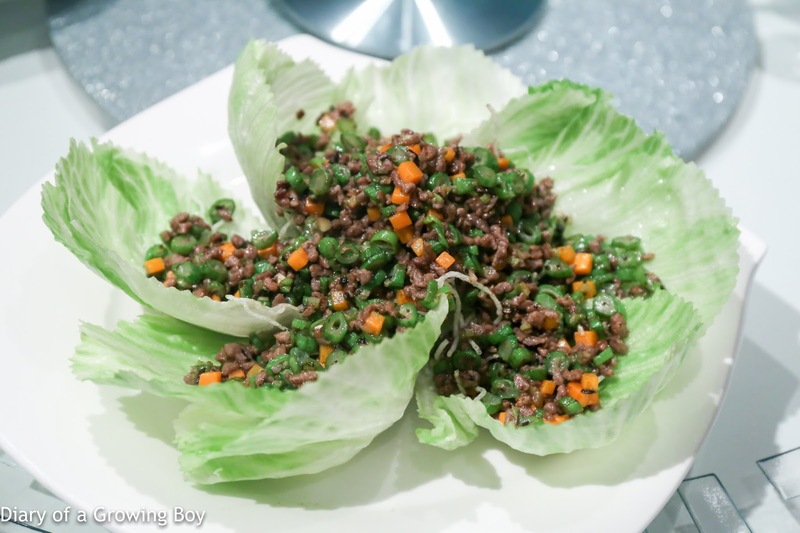 In spite of my past misgivings about the cuisine here, I remain hopeful that one day I will finish a meal here and tell myself that, YES, this was truly a 3-star experience. Needing to balance out the dietary restrictions of two moms who are sensitive to MSG, spice, and excessive salt with my own needs, I tried the best I could to walk a fine line while ordering. They had literally just switched to a new menu today, so a couple of the dishes would be seasonal. 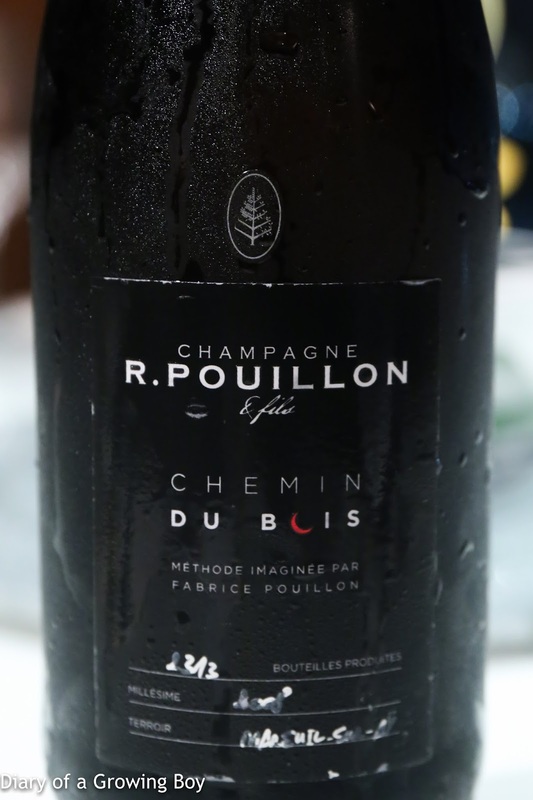 2008 R. Pouillon Chemin du Bois, dégorgée en 3ème trimestre 2016 - a lovely blanc de noirs with a nose that seemed fairy mature, nice and interesting and full of character. 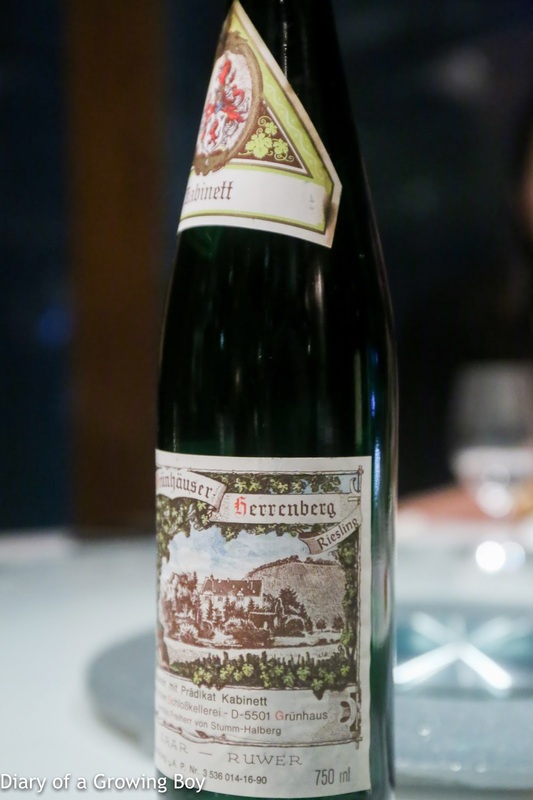 Good acidity at the beginning, but palate was very short when it warmed up in the glass. Tonight's amuse bouche was a cuttlefish ball with crispy almonds (杏香墨魚丸). 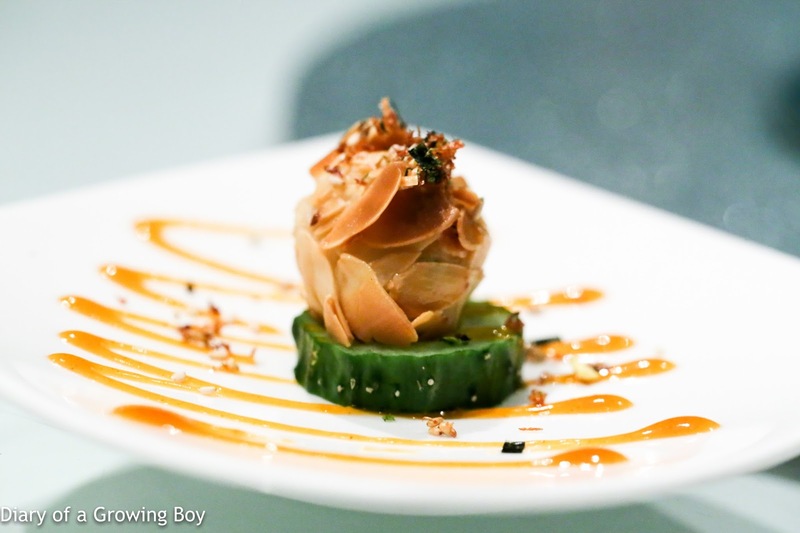 The deep-fried ball - surprisingly with pieces of cartilage inside - was covered in crispy, toasted slices of almonds and served on a hollowed cucumber ring. Pretty tasty. 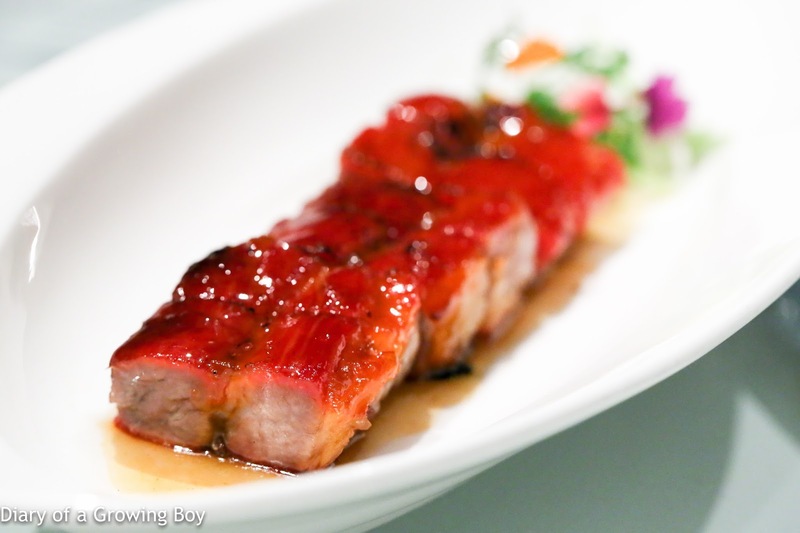 Barbecued pork with honey sauce (蜜汁燒叉燒) - the char siu here has always been good, and tonight was no exception. 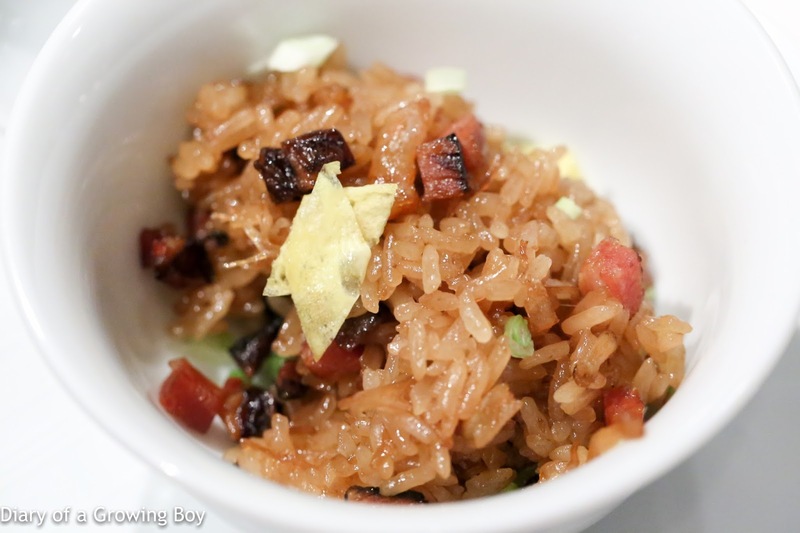 Very tender, with enough fat to impart delicious flavors. 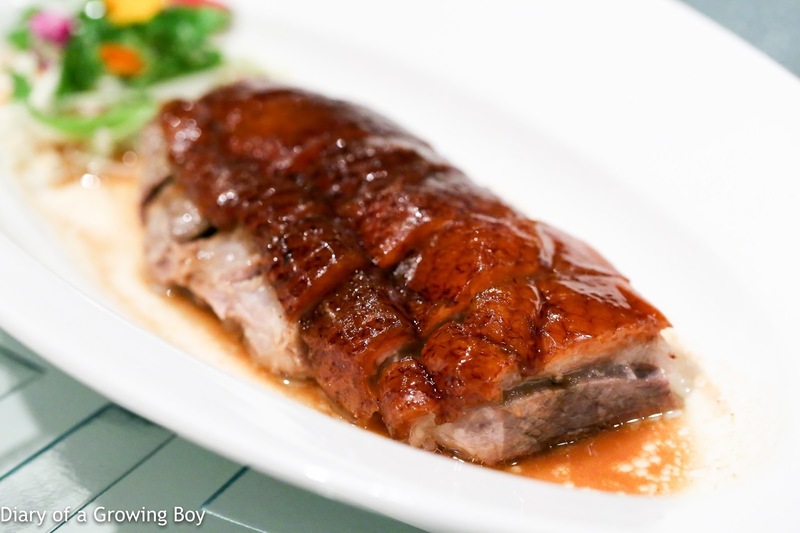 Roasted goose with plum sauce (潮蓮靚燒鵝) - honestly, this didn't make the grade. 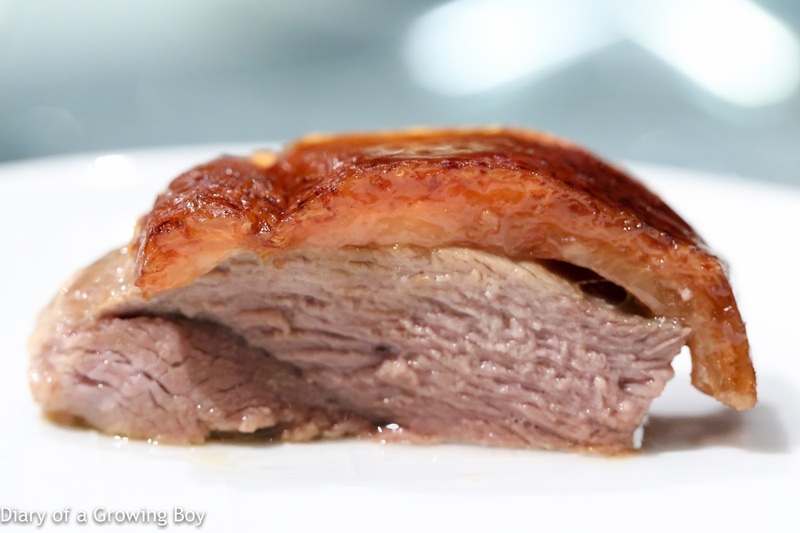 The meat was fairly tough and chewy, which wasn't helped by the fact that the restaurant chose to serve thick slices. 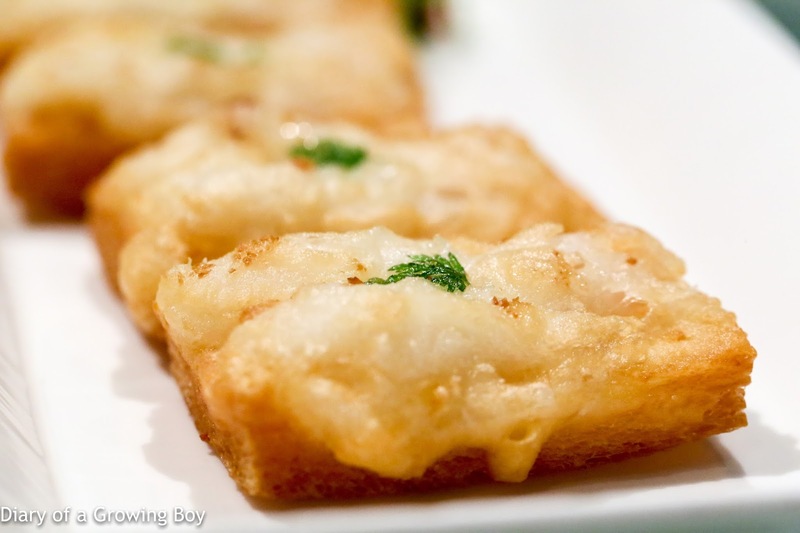 Crispy shrimp toast (窩貼蝦多士) - I loved this dish the last time I ordered it, and figured I wanted some more. 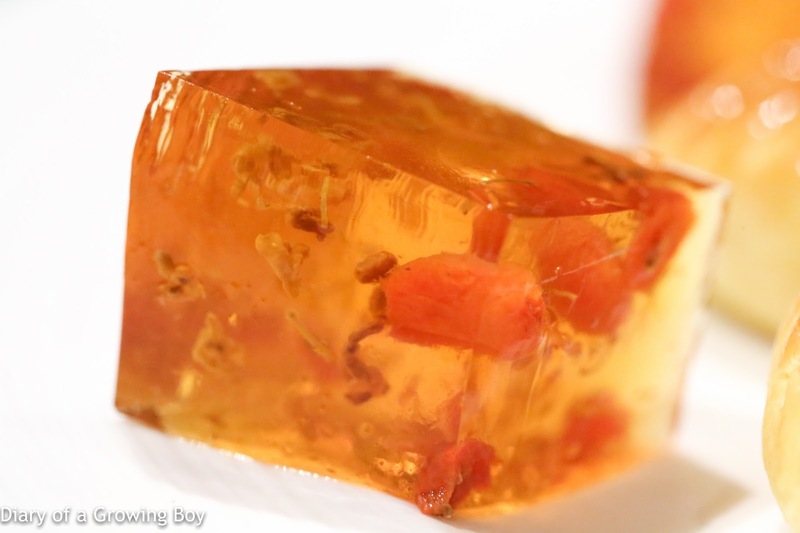 Lots of oil got soaked up to make this crunchy toast... and the shrimp was good, too! 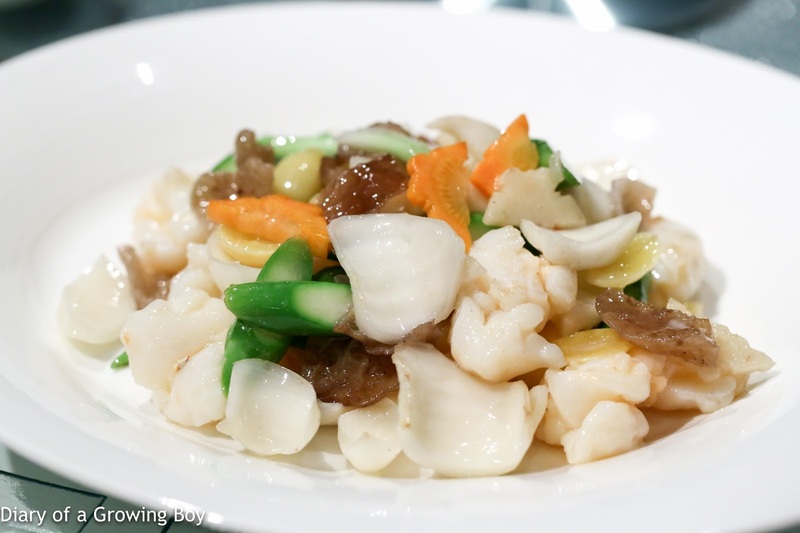 Wok-fried lobster with lily bulbs and ginkgo (百合銀杏炒龍蝦球) - something for the moms. I thought the lobster was just OK, but dad liked it. Plenty of crunch, though, provided by the lily bulbs, ginkgo nuts, asparagus, wood ear, and carrots. Baked chicken with sesame, ginger, and spring onions (香焗薑蔥芝麻雞) - I've always found the crispy chicken here a little salty, so I figured I'd pick something else. 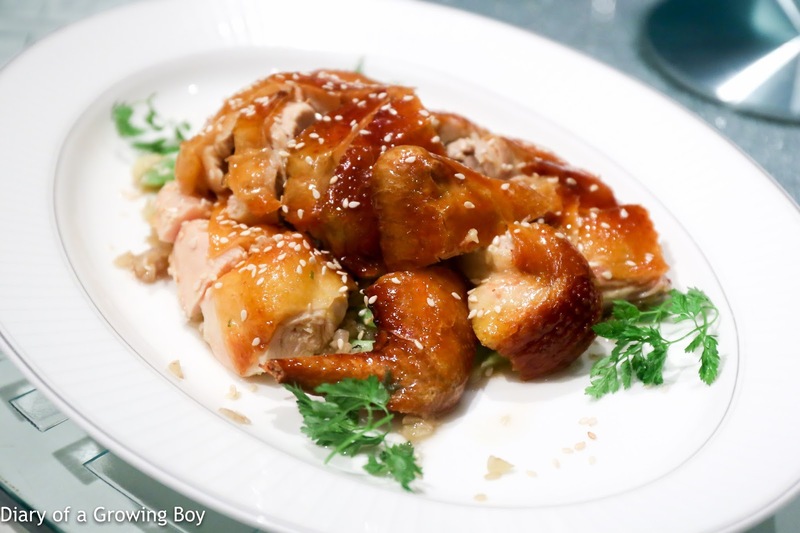 Well, this chicken also came with crispy skin, and generally tasty with the ginger and spring onions. But... the underside of the chicken was still a little on the salty side. 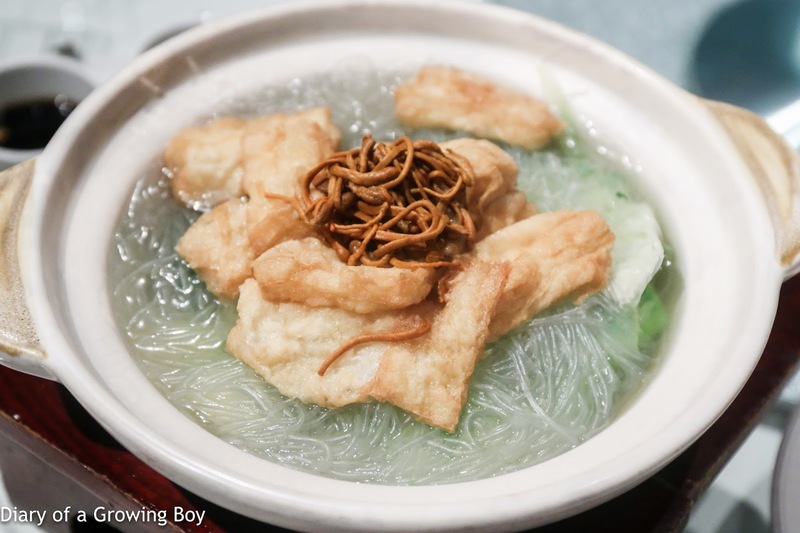 Assorted vegetable casserole with tofu sheets and vermicelli in soup (腐竹粉絲雜菜煲) - this was pretty good, and thankfully came with a lot less MSG than most versions at restaurants. 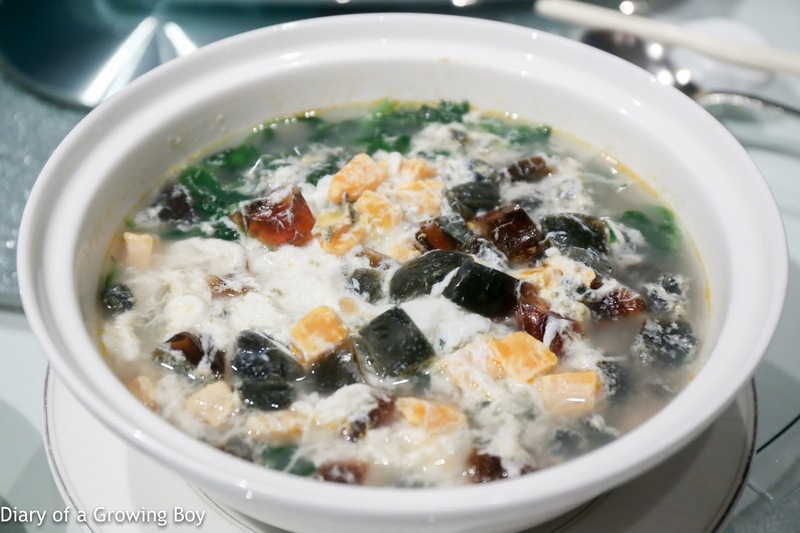 Leafy amaranth in superior broth with salted and century eggs (金銀蛋上湯浸莧菜) - I figured this would be a more interesting way of serving up veg for mom, and hopefully the salty egg and the superior broth weren't too much for her. Given that My Favorite Cousin was joining us, I knew we could polish off a couple of bottles... So I brought two bottles to share. And yes, there were a couple of very thirsty people at the table. 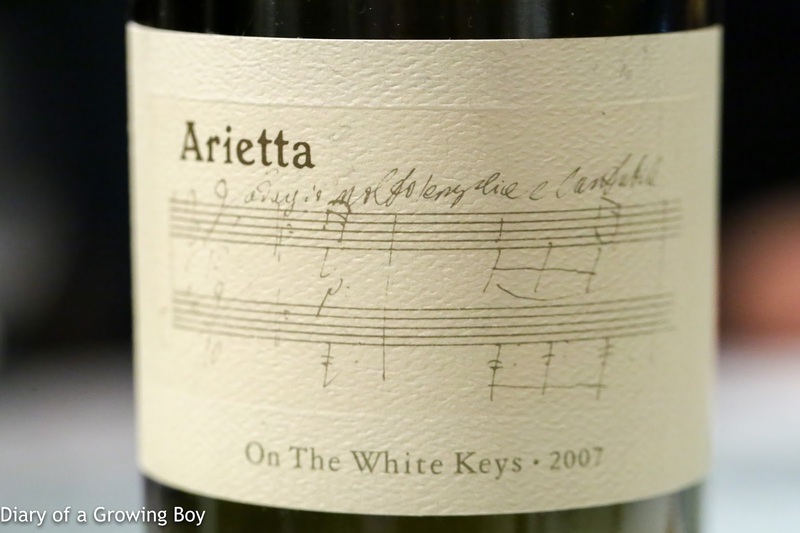 2007 Arietta On The White Keys - decanted upon opening. Surprising how dry it was on the palate at first. Highly aromatic nose, with acetone and almonds. 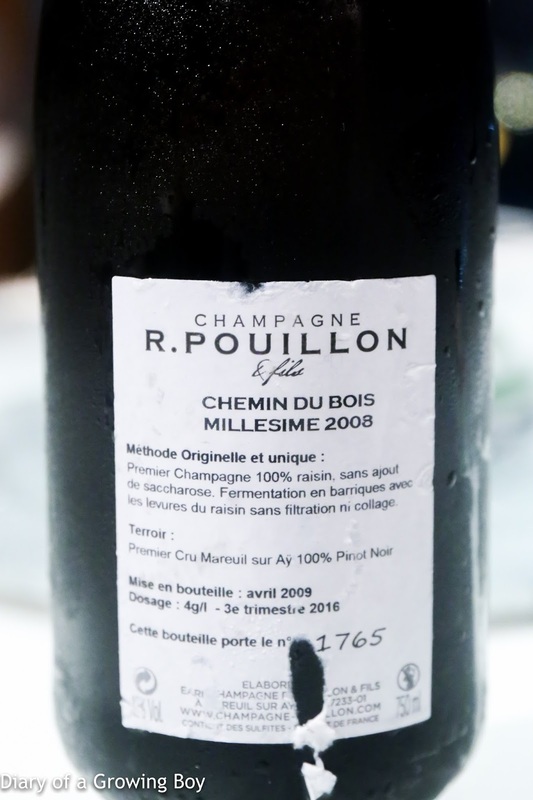 Gradually developed toasty notes and became ripe and sweeter on the palate. 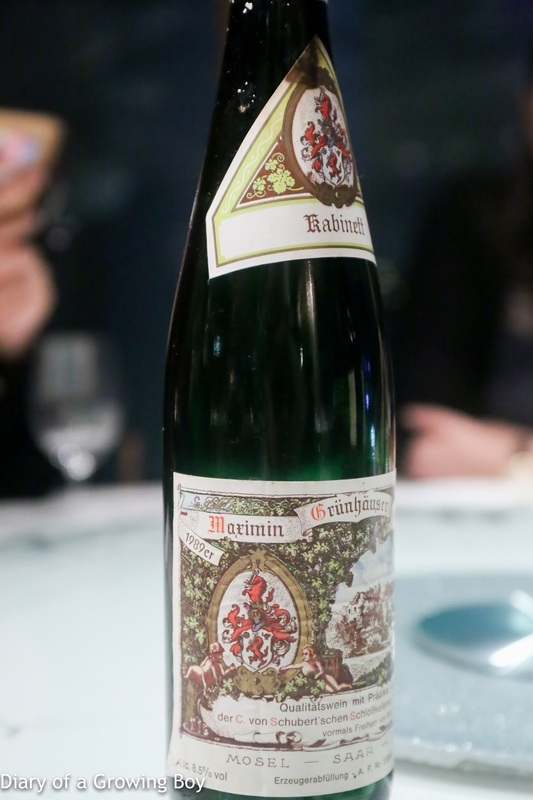 1989 von Schubert Maximin Grünhäuser Herrenberg Riesling Kabinett - beautiful nose with polyurethane petrol, and a little white flowers. Relatively dry on the palate with surprisingly crisp acidity, but still remains an off-dry wine. 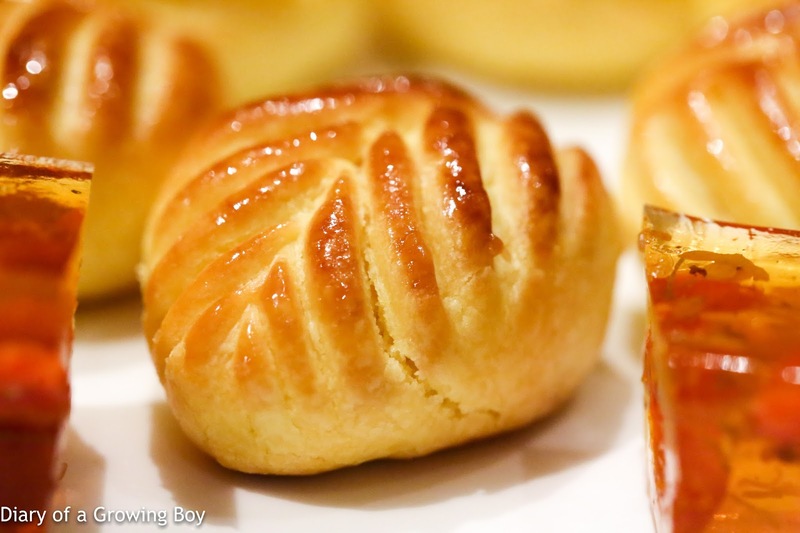 Steamed ginger tea puddings with honey (蜂蜜薑茶糕) - pretty nice with plenty of kick from ginger. Bernard took out a coupe - those glasses that people served Champagne in back in the 60s and 70s - and poured me something. He wouldn't tell me what it was, but wanted me to try nonetheless. The 2009 Ca' D'Gal Moscato d'Asti Vigna Vecchia had a viscous consistency, mild and sweet on the palate, almost like drinking a slushie that has melted... Minty, almost menthol, with very light peachy flavors. A very informative page, giving suggestions where to dine and how to chalk out the plan we have decided. The pictures are really awesome. Good job.